Is there a better alternative to Sprout? Is Sprout really the best app in Source category? Will Sprout work good on macOS 10.13.4? 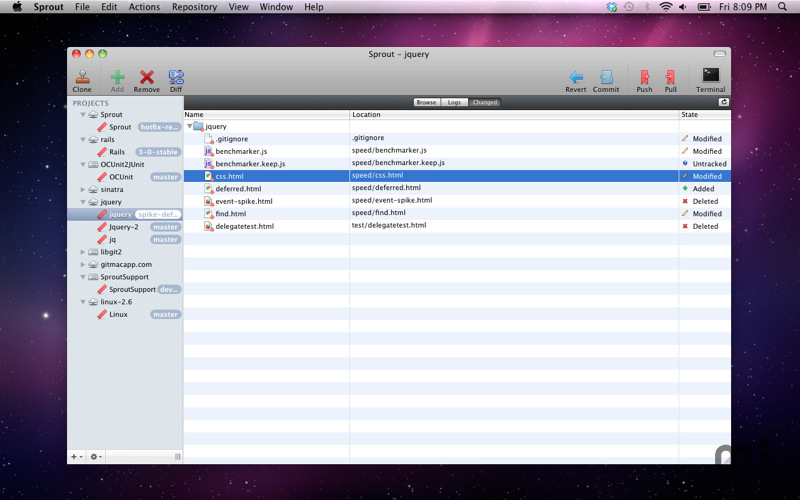 Sprout is the easy Git client for Mac! Sprout makes using Git easy - great for developers & designers who are are new to Git, want a desktop companion for GitHub, or a nice UI alternative to the Terminal. Easily manage your repositories with have easy access to all common operations, and branching features. Sprout needs a review. Be the first to review this app and get the discussion started! Sprout needs a rating. Be the first to rate this app and get the discussion started!